Registered nurses, licensed practical nurses and certified nurse aides work round the clock caring for residents in the Center's skilled nursing facility. They are the primary providers of care, implementing the plan designed for each resident by an interdisciplinary team composed of a physician, nurse, rehabilitation therapist, dietician, social worker and activity therapist. 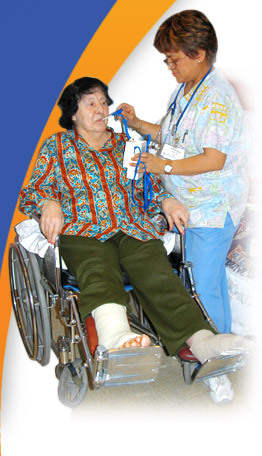 Nursing personnel meet the day-to-day needs of residents, assisting with or delivering daily living skills such as dressing, bathing and eating. Nurses work closely with the medical staff, administering medications and monitoring resident conditions, immediately alerting physicians of any changes or problems. Due to this close relationship, nurses become friend and support system not only to the residents, but to families as well. 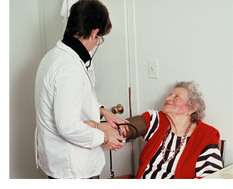 Each resident is viewed as an individual and treated with dignity and respect. 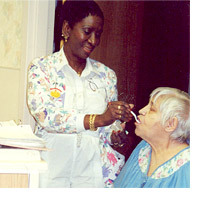 To insure residents receive the highest level of care, the Center provides nursing staff with continuous education seminars to reinforce old skills as well as address new techniques and theories in the aging process. In regular group conferences, staff discuss the unique difficulties that come with providing care to seniors and work together to create solutions well-suited to the long-term care setting. For further information contact the director of nursing by clicking on the link or by calling 973-253-5243.